Alleged street racing led to a police chase and two arrests on 148th Avenue late Sunday night. 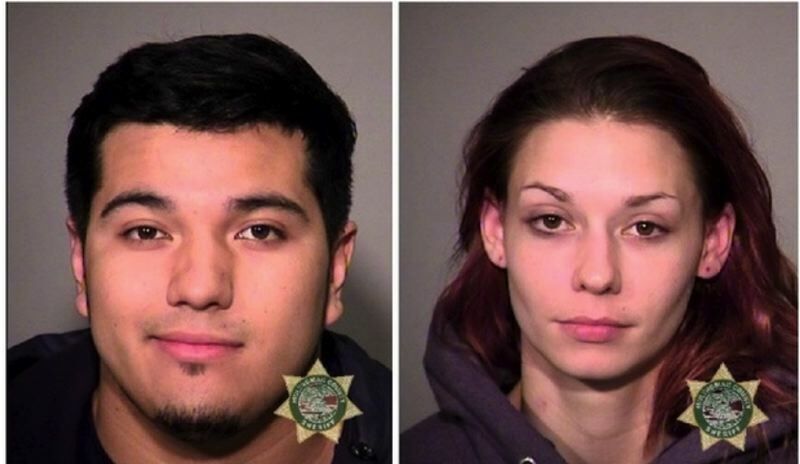 Jovani Villalobos and Audrey Parrish were arrested after North Precinct officers responded to a street race in northeast Portland on Sunday, according to a Portland Police Bureau news release. The scene led to a chase as other drivers attempted to interfere with the officer pursuing the racers, the authorities reported. Officers showed up at 10:45 p.m. Sunday to the 5400 block of Northeast 148th Ave. and found around 50 people gathered in the area, some apparently street racing. As an officer moved toward the group in a marked patrol vehicle, the driver of a Ford Ranger truck drove toward the officer, police say. Believing the truck might collide with his vehicle, the officer maneuvered out of the way and called for backup. As the driver left the area, the officer attempted to chase the truck. However, the officer reports multiple drivers interfered with his pursuit of the truck by driving in his path. The driver of the Ford truck, Jovani Villalobos, 21, was booked at the Multnomah County Jail on charges of not stopping for the officer, reckless endangerment and a violation of his probation regarding a warrant for a previous conviction for manufacturing marijuana products. Villalobos, a Fairview resident, was charged with careless driving contributing to an accident in 2013, court records indicate. He was also charged with manufacturing cannabinoid extract within 1,000 feet of a school in 2017, according to police reports. The police arrested and booked Audrey Parrish, 23, into the Multnomah County Jail. Parrish, who was charged with reckless driving, was driving a Saturn sedan that police say interfered with the officer's pursuit of the truck.